The Samsung ML-4050ND is a single function monochrome laser printer which is designed for small businesses. The ML-4050ND includes Samsung's Forms Overlay, which is an innovative feature that improves the ML-4050ND's efficiency. A downside to the ML-4050ND is that it is very much a printer designed for text printing and not a lot else. The Samsung ML-4050ND won't win many awards for style with its light grey exterior. The ML-4050ND is, however, one of the more compact printers in its class and has measurements of just; 453 (d) x 353 (h) x 396 (w), mm. The ML4050ND also features a backlit two line LCD screen. The Samsung ML-4050ND features Forms Overlay which allows users to save up to 10 frequently used forms on the ML-4050ND's hard disk. This innovative feature helps to reduce the amount of traffic on the printer network and therefore increases efficiency and saves time, making it ideal for any busy office environment! 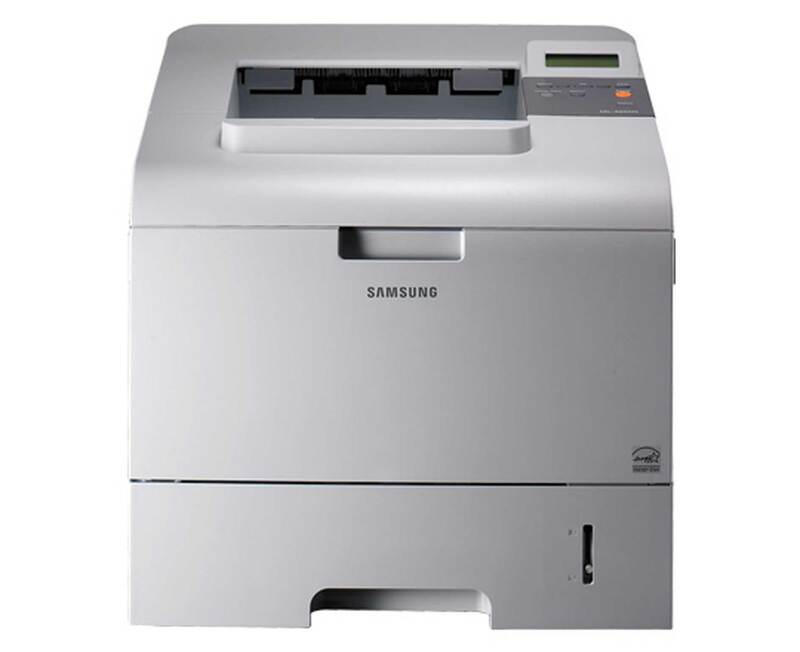 The Samsung ML-4050ND has a monthly duty cycle of up to 200,000 pages – more than adequate for small/medium sized businesses that have large workgroups. It would be nice to see the Samsung ML-4050ND printer equipped with WiFi – this would allow devices to connect directly to the printer without having to be connected into the office network. Do bear in mind that the printer has Ethernet connectivity, which in the long term will provide a more stable connection to the printer.